Coming soon to Cabelas, Sportsman’s Warehouse and Feather Craft….. 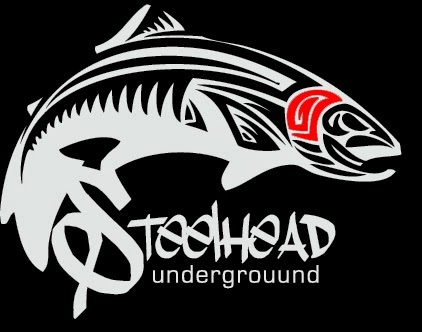 The ‘Steelhead Underground’ Series of Steelhead Patterns. 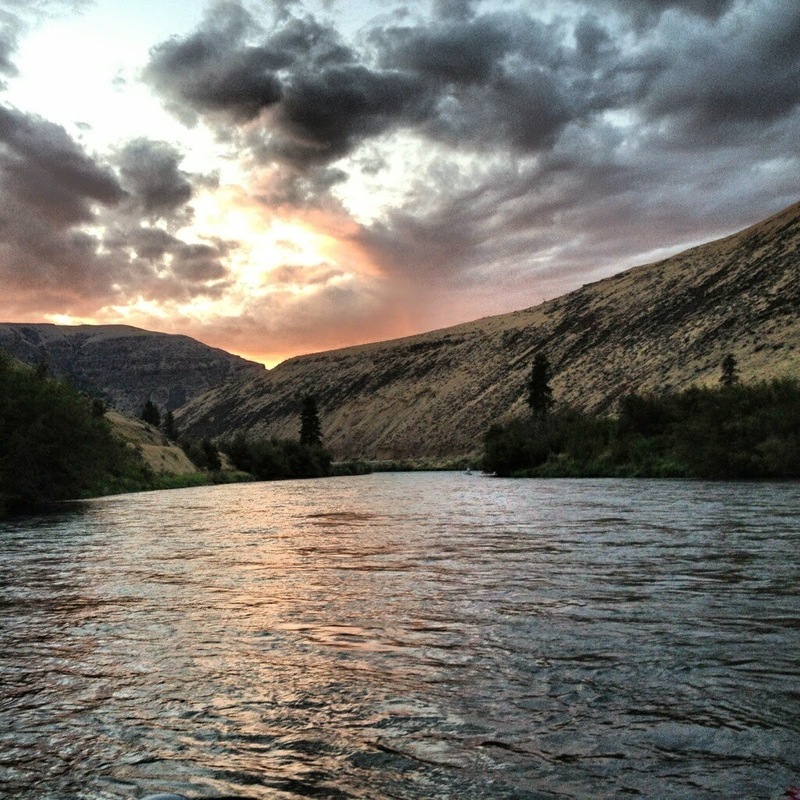 We just kicked into our late summer/fall season on the Upper Columbia river and Black Bear lodge. The beautiful Cutt bow pictured here ate a dry fly yesterday. The overall fishing yesterday was ‘average’ with some nice fish eating the dry and the swung fly. The fishing was certainly not numbers oriented…..but as you can see the quality makes up for the lack of numbers! 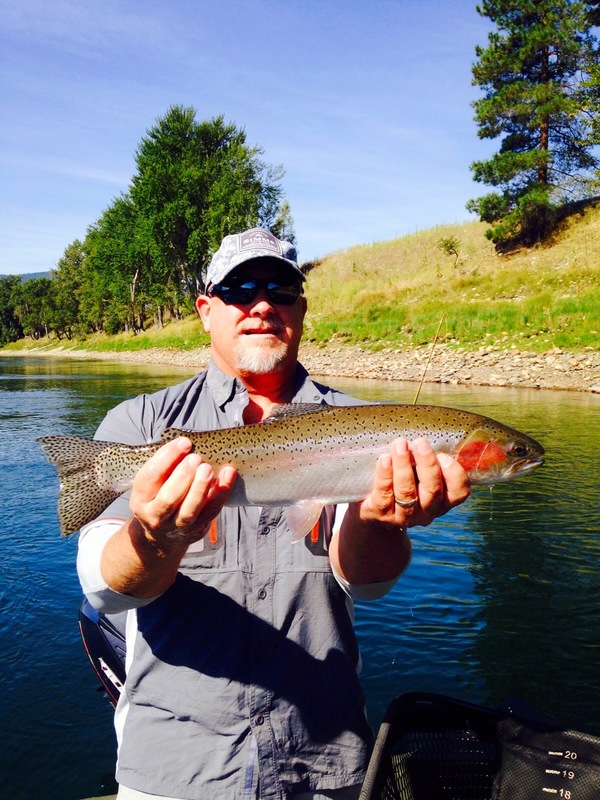 The river flows are dropping and the fishing continues to be good and is actually heating up! It is Flip Flop season on the Yakima. Flip flop is where the Yakima River Reservoirs are ‘turned down’ in volume and at the same time, the Tieton river is ‘turned’ up by releasing more water into it from Rimrock reservoir. 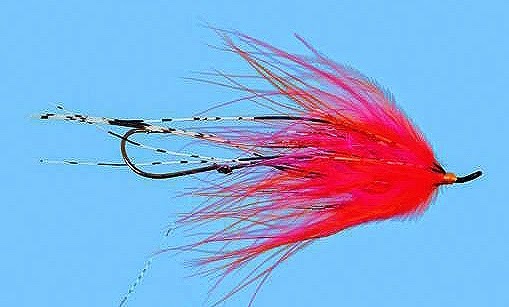 The fish are finding new holding water and moving around a bit, and we are seeing some bigger players in the last couple days taking smaller dy flies. Fish are holding on banks with deeper water and along drop offs in about ‘one foot per second” paced current. Size #16 Blue Wing Olive mayflies have been popping and the little tan Caddis #16 has been cranking up, which is what has been working for us in the evening hours! Sub surface fishing can be very productive as well when the dry fly action slows down. Late summer is here with cooler days, cooler water temps and lower flows – which all adds up to some GREAT fishing days. 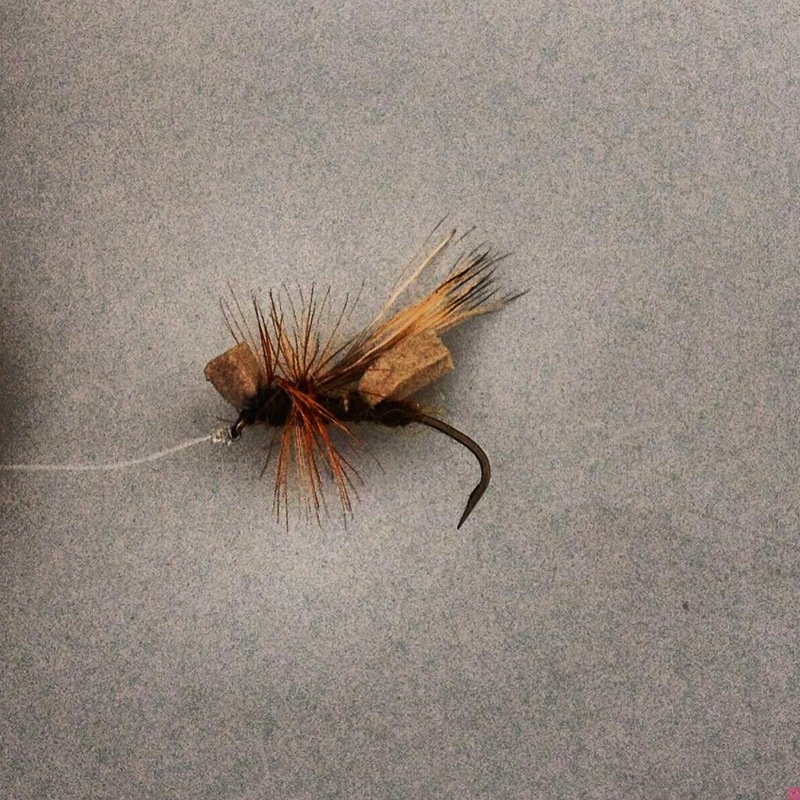 The top photo is a Caddis pattern that has been successful for us recently…. A take off on the EC Caddis. Some insight from the guides report re: ‘The bent hook’ – ‘Everyday is a learning experience on the water. Yesterday’s lesson is called – DON’T COMPROMISE – I did and tied with some antique hooks that my dad gave me and lost an exceptional trout – 20 plus inches! The middle photo is partly why we do what we do – Enjoy the places that we fish! The Klickitat is fish gooood with both the nymph and the swing. 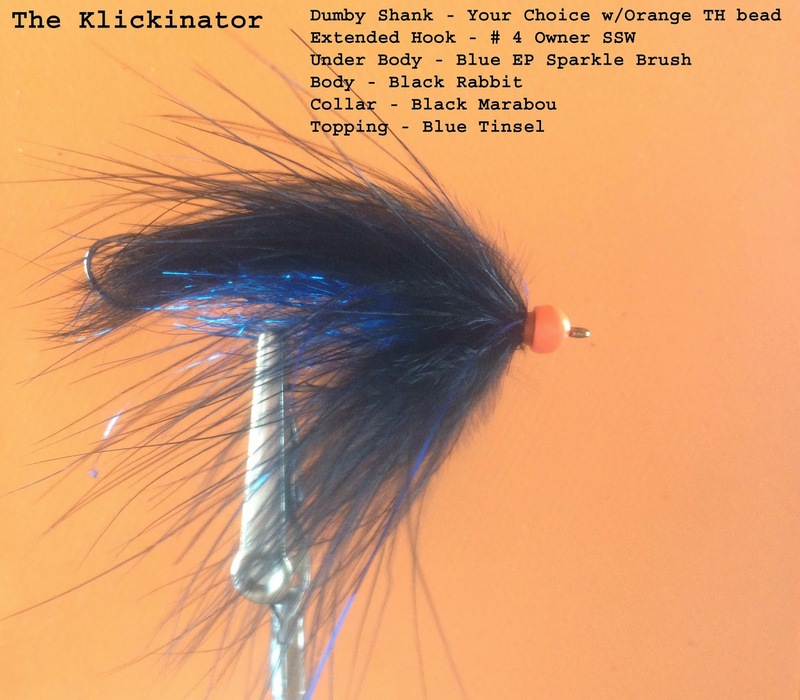 Best bug this last week fished on the swing is the featured photo – The Klickinator – A combination of Brian Silvey’s ‘Silvinator’ and the ‘Bucket Bouncer’ by Jeff Cottrell. Both the dry line and tips have produced. 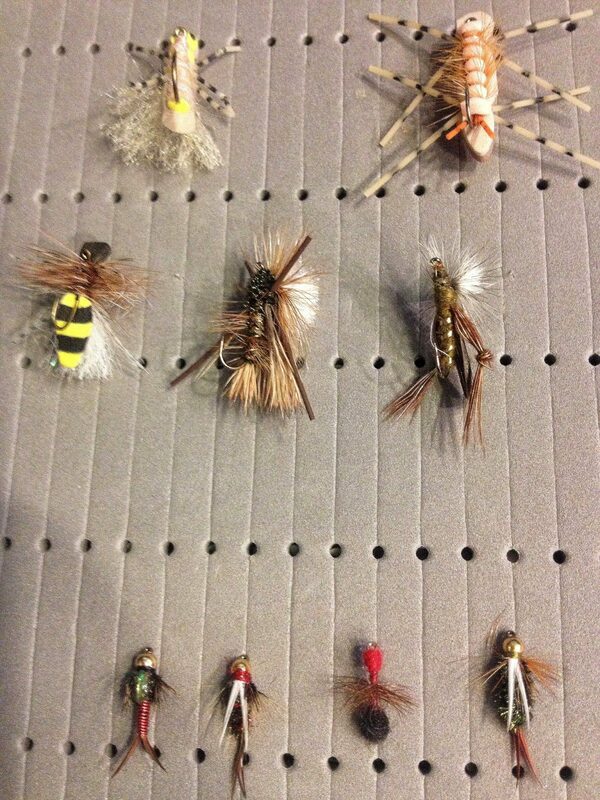 Nymphing has been stellar as well utilizing various egg patterns, the bead and Stone nymphs…. The entire river is fishing good. The Stinson to Slide stretch has a complete blockage from a fallen tree. We would not suggest trying to float under the tree. The blockage is about 1/4 of the way down the float – Portage left and drag your boat around the hazard. There is also a very tight spot about half way down that is located at one of the splits in the river. I watched a boat almost dump there the other day…. Be careful. The river is lower than normal as well, making it difficult to navigate some spots. In addition, just after the hole known as the ‘Morgan Hole’ (approximately 1/2 mile above the Little Klickitat confluence) is a split in the river – don’t go right – There is almost a full blockage there as well. GREAT FISHING, on both the swing and nymph – END OF STORY. 3.5 feet of Steelhead green and happy fish. The river clarity is much better than the previous report – Currently 20 inches of vis and should be getting better daily! Sorry, no pic! 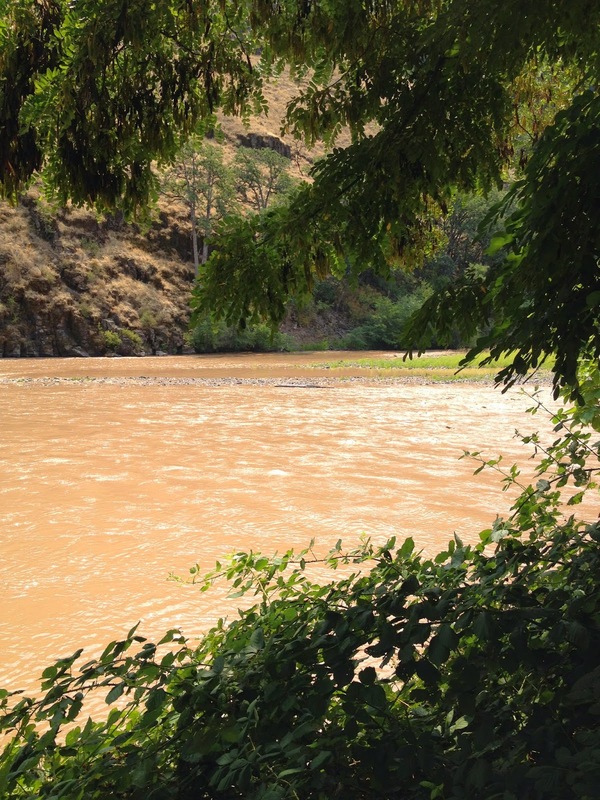 The river experienced an increase in flow and a definite loss of clarity in the lower portions due to BIG RAINS. The river above the Teanaway river confluence (Upper Flatlands) has remained pretty much the same through the past few days of rain. The Upper Canyon fished good yesterday even though it saw an increase in flows and loss of clarity. Our fishing in that particular stretch was predominantly with dry flies… Including #10-12 Morrish Hoppers, Parachute Ant, Royal PMX and the #12 Sunken epoxy Ant! We have not been in the Farmlands over the past few days, but will manana! The Lower Canyon has been rough due to a major loss in clarity. Based on the forecast everything should resume to normal over the next few days…We would however suggest staying out of the Lower Canyon tomorrow. 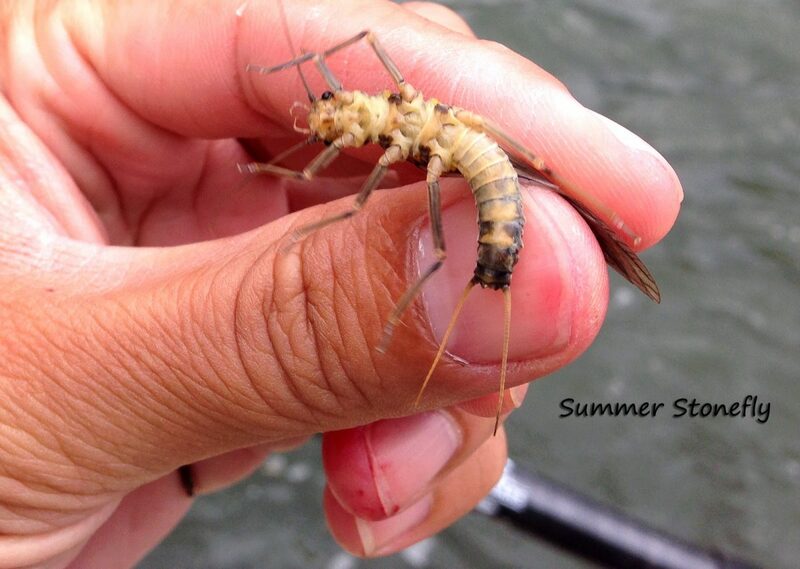 The above image depicts how light in color the Summer stonefly can be! Wow, Not getting much love from this river lately. There are lots of fish in the system, Just been inundated with HEAT and now yesterday a MEGA rainstorm on the mountain. Stay away from this one for awhile. We will keep you updated. 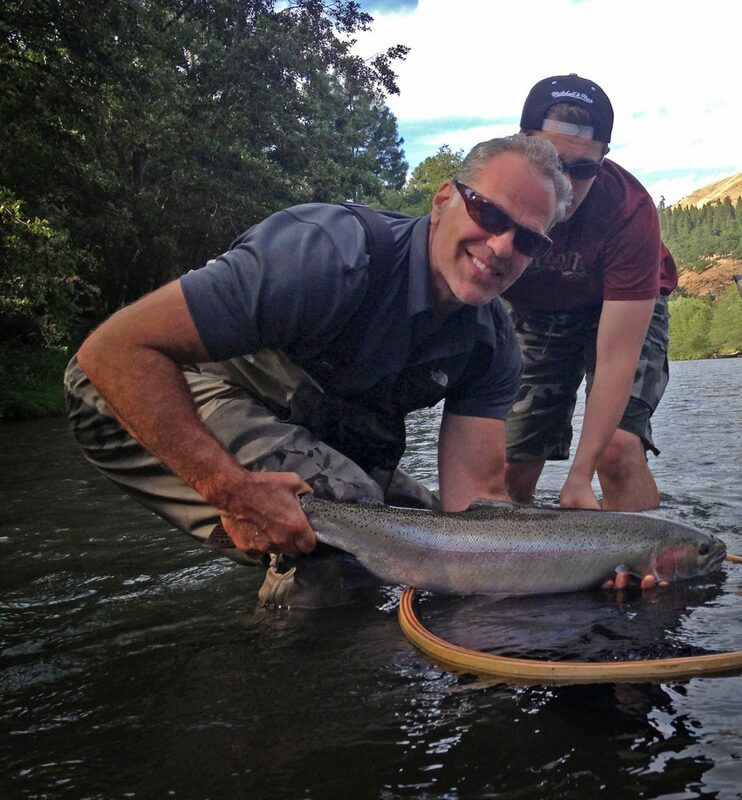 As long as we have clarity on the river…We have seen some GOOD TO GREAT fishing. This past Saturday the river was beautiful Steelhead Green. Yesterday the river was grey with a hint of green. We are supposed to see lots of heat today and then it is going to cool down come Wednesday. The weather calls for some thundershowers in addition. We have seen the river cycle hard over the last few days. 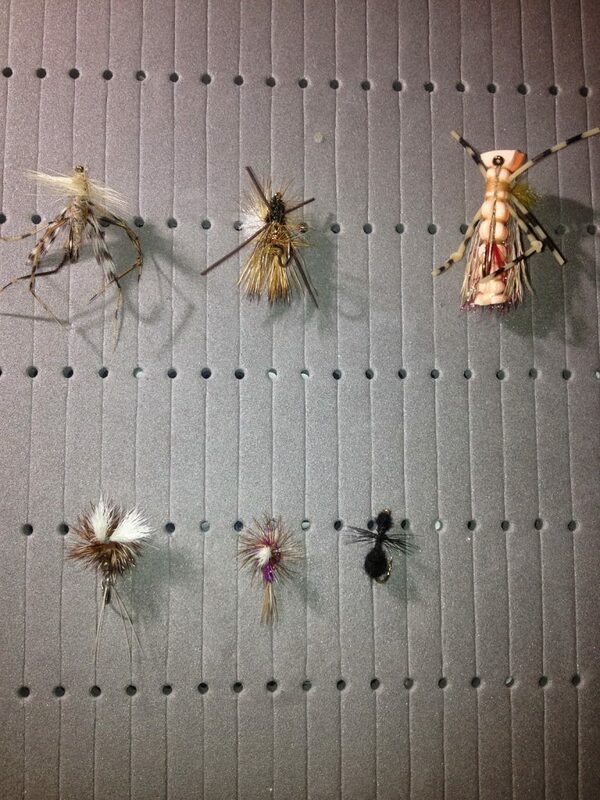 Both the swung fly and nymph have produced. 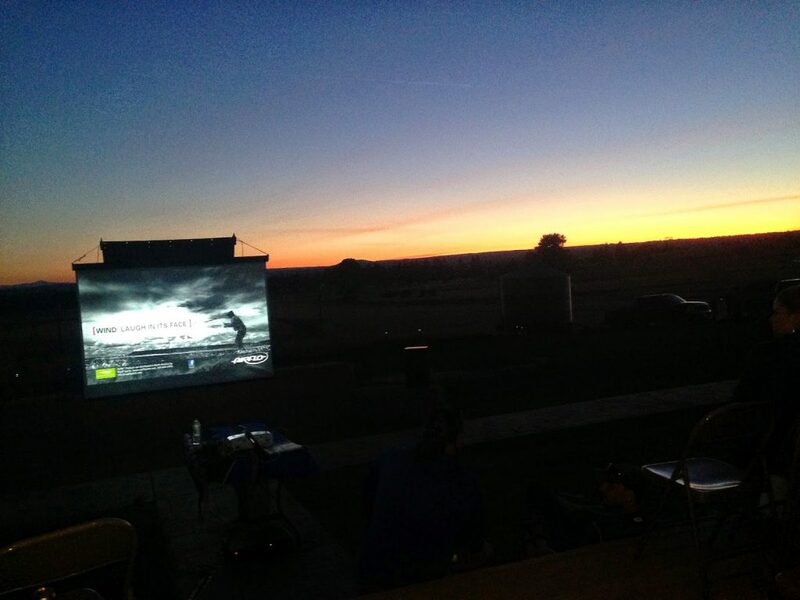 Saturday we held the Second Annual Two Hander Day at Leidl Campground (More photos coming soon) – Afterwords we watched Catch Magazine under the stars…thanks to Todd Moen! Yesterdays highlight was a 7 pound wild hen that thought she was 15 pounds by the way she fought….ballistic.